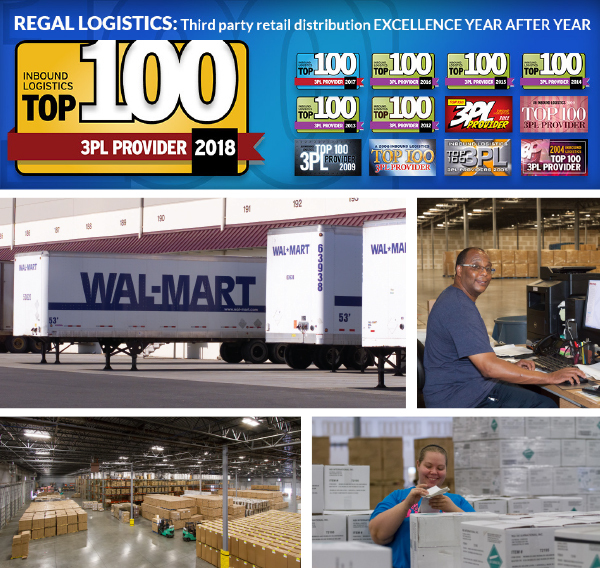 A Third-Party Retail Distribution Provider with 50 years’ experience, Regal Logistics delivers innovative shipping solutions, state-of-the-art systems, lower costs and better results. We offer comprehensive services, from Port to Sale, for North American companies importing from Asia and specialize in weekly replenishment services and distribution. Customers benefit from our experience and expertise shipping to 800+ retailers and specialty stores, industry specific solutions and streamlined logistics processes that improve product flow. Advanced information technologies including EDI, real-time shipment tracking, warehouse and transportation management systems exceed standards and accelerate goods to market. 2.4 million square feet of high-velocity Distribution Centers in significant port gateways feature fulfillment, full carton, cross docking and small parcel services.